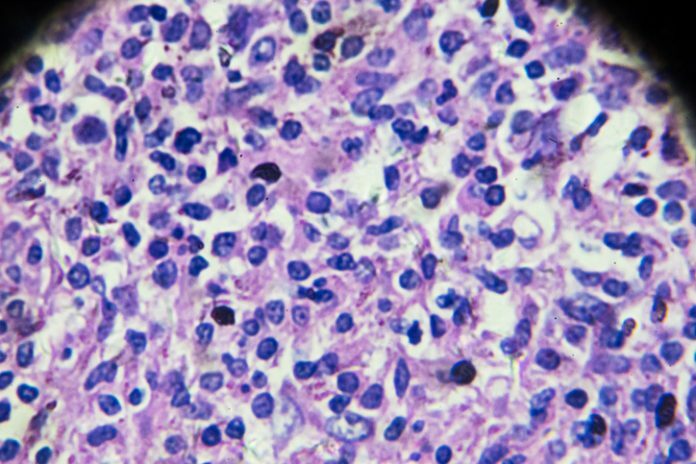 Molecular biology company Caris Life Sciences has published new data in Cell Chemical Biology that could offer a new pathway to the treatment of Non-Hodgkin’s Lymphoma. In the paper “Translocation of a cell surface spliceosomal complex induces alternative splicing events and lymphoma cell necrosis,” researchers identified a molecular spliceosomal complex that sits on the surface of cancer cells. The complex was discovered using an NHL-specific single-stranded DNA aptamer, C10.36, discovered by Caris collaborators Günter Mayer and Michael Famulok at the Life & Medical Sciences Institute at University of Bonn, using Caris’ ADAPT Biotargeting System. The results show that when the C10.36 aptamer binds to its target on the cell surface, the complex is translocated into the cell causing global changes in RNA splicing (“splicing chaos”) and necrotic cell death. This represents the first time a spliceosomal complex has been identified on the cell surface.